2014 -2105 Curriculum – Happy. Homeschooling. Housewife. Another school year is upon us and we are so excited to get started. After a fun-filled and much needed vacation, we are all so ready to get back to our learning time. I always love reading about what other homeschooling families are studying, so I decided to share what our girls will be learning this year. 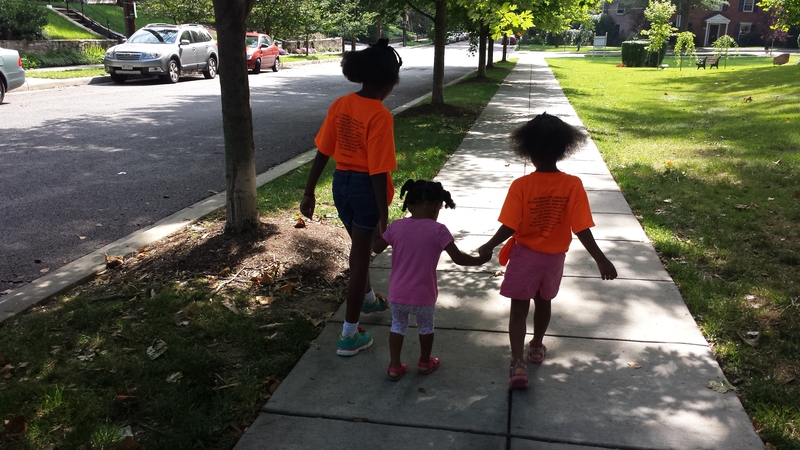 For us we really try to make the girl’s learning both very fun and yet very intentional. I really try to focus attention on character training because I feel this to be the most important nutrients to my little one’s soil. I see our ‘meeting time’ as a great opportunity to really help them deepen life skills such as patience (waiting for mommy to finish up with sister), gentleness (respecting the books because she knows they will be passed on to someone else), kindness (sharing toys even when it is hard), long-suffering (experiencing struggling through learning a new thing and eventually mastering how to do it), joy (understanding that we are all super learners and that the ability to learn is a gift from God so we should enjoy it as such), self-control (learning how to follow rules and to obey), and love (showing love to one another through forgiveness and service). I get to work on these fruits via academic studies and our general life together. We begin most mornings with our Meeting Huddle at 8:45 a.m. During this time (which is usually 15-20 minutes) we get on the same page with one-another and with the Lord. This is a very special time of the day because I get to learn about what has been on the minds and hearts of my girls (what they are excited about, thankful for, upset about and nervous about). Princess Bella reads the Daily Word, Jesus Calling, and we chat about that. God never fails to have a meaningful word for us all. Next we discuss the date, review the days of the week, months of the year, and talk about the weather. I like to get the little ones up and moving about so I might have them jump every time they say a day of the week. I also have a little dress-up box filled with hats, gloves, sandals, etc and I will have them pick out the right clothes to dress each other in (they love this). I go over the day’s schedule along with anything important to note. Next we read a Bible story from Archbishop Desmond Tutu’s Children of God Storybook Bible and we spend some time sharing personal testimonies related to the message. I am always so taken aback by the words my children speak. Inspirational and refreshing! Then we have fun singing and worshiping the Lord and finally, we cover the day in prayer. 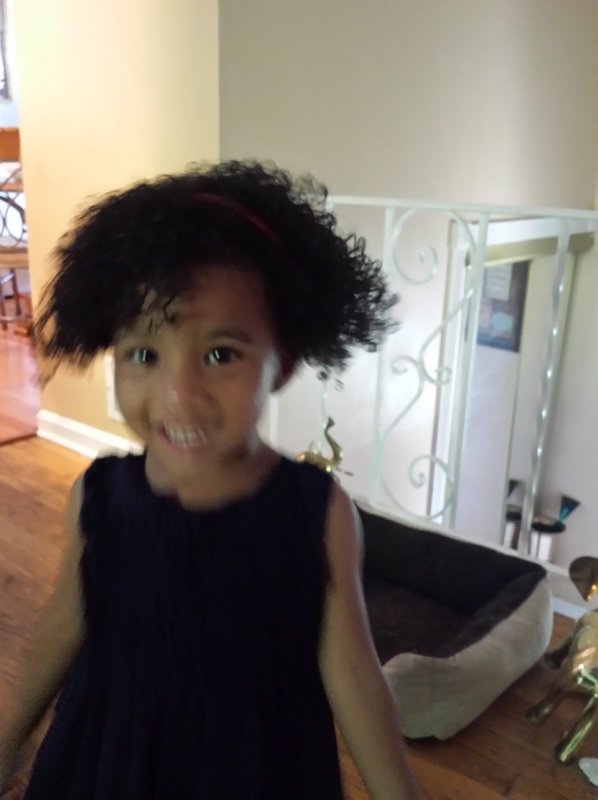 This year my youngest daughter, 2 year old Princess Jubilee, is eager to join her big sisters at the table. So she is doing Happy Pre-K. She is so excited to learn how to count and sing her ABCs and it is really a joy to watch her learn and grow. The most amazing thing is I am not her primary teacher, 7 year old Princess Bella is and she is such a caring teacher! She works really hard, including putting together her curriculum. I love to see how how well she responds to her sister teacher. This year Princess Jubilee will be learning all about God’s Creations: The Things in the sky (clouds, stars, rainbows, etc. ), Water Water, Plants and Flowers, Animals, and last of all a unit called All About Me. Princess Jubilee is creating this program herself and once she has completed it I will surely share! While Princess Bella leads Princess Jubliee through Happy Pre-K fun, I get to have some one-on-one time with Princess Petals who is our Kindergarten student. I am so thankful for this time with her. Saxon Math K. Princess Petals is our little engineer and she enjoys math. We spend the first 30 minutes of our time together doing our math work. She really enjoys working on her calender (especially the patterns) and seeing what fun thing she has to look forward to. Then we jump into Language Arts. I start with her phonics lesson with McRuffy Phonics and Reading Kindergarten program. Next we spend some time learning about handwriting. I use Handwriting Without Tears(HWT). I just use the student workbook and I work through the letters based on the letters that being introduced in the phonics program. Please note this is NOT the way the program is designed. I am very familiar with HWT so I feel very comfortable going out of order, but if you are a first time user then I suggest following the program more closely. After handwriting we jump in Explode the Code: Get Ready for the Code A (which she really loves–who doesn’t love Explode the Code?). The last thing we do is snuggle on the couch and I read a chapter from a chapter book she picked out at the library or bookstore. Currently she is really into My Little Ponies, so we will continue enjoying that series. After our special one-on-one storytime (yes, on a couch with a blanket and all—Princess Petals demands all the perks) she cleans up her work desk and I get ready to work with Princess Bella. The second half of Princess Petal’s day has her working through her workboxes. Now if you do not know what the workbox system is you must visit the creator of the system to learn first-hand about it. I just started and will be blogging about my experience. Thus far, days one and two–LIFE CHANGING. Big THANK YOU to Sue Patrick for sharing this. I do not follow the program exactly. I did download the book, watch her webinar and then tailored it to fit our needs. She has a total of 6 boxes (will be increasing to 8 as soon as I can visit our local (non-super)Walmart) workboxes that she self-paces through for the 2nd half of the meeting day. Each box has a different activity that she should know how to do by herself or with very little help from me. Princess Bella is our 3rd grader this year and she is so excited to be in 3rd grade! Lela will continue her math studies with Math, Saxon 3. If you are interested in reading my review of Saxon click here. In addition to Saxon she will also work with Khan Academy. English this year will offer Lela a big change. I am creating her reading and writing program as she is now at the table with the her older cousins. Every Tuesday we get together and I teach the children English. The first work we are studying is A Midsummer Night’s Dream. We will continue using Writing Strands Level 2 Book, to compliment her writing program. For grammar she will be doing Rod and Staff Grammar 3. We have used this program and she likes it and so do I. She is doing Spelling Workout C for Spelling, this is another program she has been using for years. I wrote a review about the program and you can read it here. For handwriting this year she is in the 3rd grade cursive book with Handwriting Without Tears. In addition to cursive she will be taking an online keyboarding class by Handwriting Without Tears. For History we are continuing with the Story of the World series, Book Three. Princess Bella enjoys all the history stories and putting together her lapbook. I am so grateful to Carrot Topx3 who generously shares her lapbook pages to folks to download. A huge thank you! I do pull all three girls together and teach Science, Spanish and Art History. For Science we are continuing with Science 2, Houghton Mifflin. I really do love this program and so do the girls. It is also very easy for me to differentiate between the age groups. Along with our book study, we will continue our nature walks observing the world around them. We are starting Spanish this year and are using a brand new (to me) curriculum called FlipFLop Spanish. I am excited to begin this and the girls are super excited to start learning Spanish. I will keep you updated on how that goes. This year hubby, Khari and I will be teaching a joint Art Exploration class. We are designing the course to be part history (that is my part) and part practicum (that is his part). We are relying on Kinderart to help us. Khari is really looking forward to teaching a class this year and I am looking forward to seeing him in action! Princess Bella at her end of the year parent observation class. 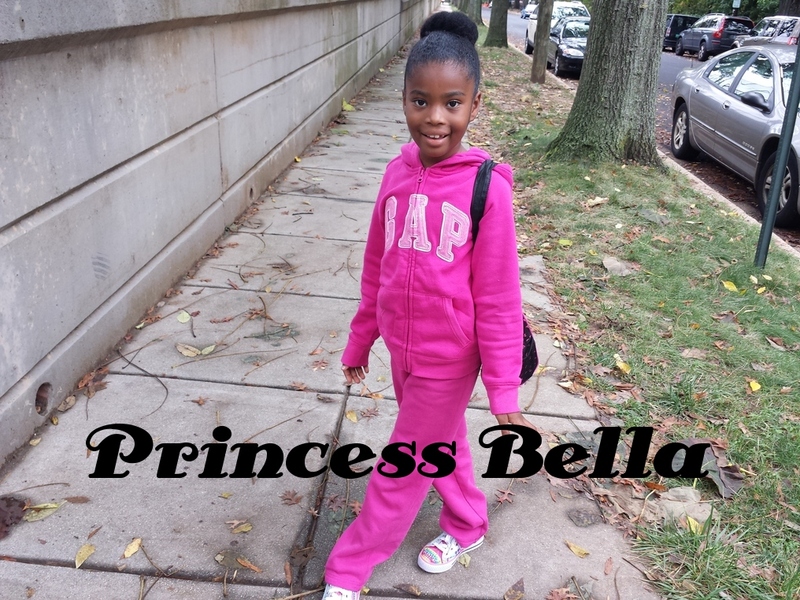 For physical activity Princess Bella is continuing her studies at The Washington School of Ballet. She is super excited because her sister, Princess Petals will be starting this year. 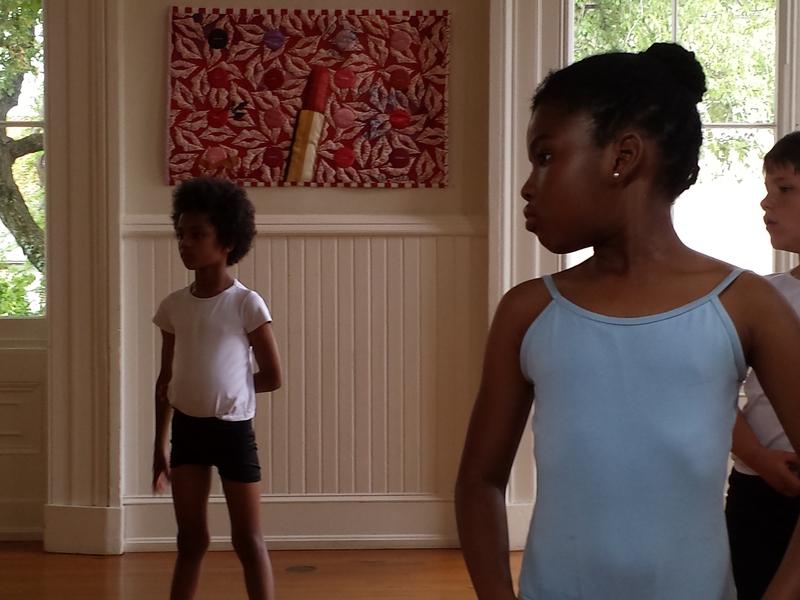 And of course Princess Jubilee is trying to keep pace with her big sisters and must wear a leotard too on ballet days. Princess Bella is also participating in a dance class at our church that focuses on dance as worship and ministry, it is such a great program and we are very happy she will be able to participate this year. 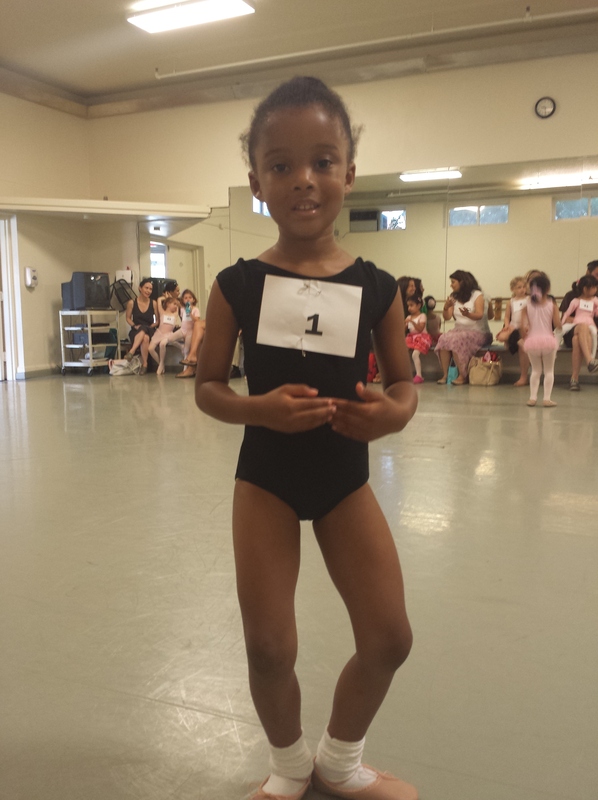 Princess Petals at her ballet audition for The Washington Ballet. She was so excited to be #1! This is what the Grant girls are learning. What is your children learning this year?